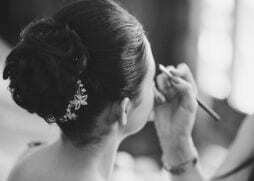 Your wedding hair and makeup is a key element to perfecting the look you want on your wedding day. There are so many options for beautiful hair up-do’s and down styles. Finding the right look for your face shape, dress and hair type can be challenging. Perfectly Beautiful work with many different brides to help them with their hair and makeup in Brisbane to achieve the perfect look, so your day starts off with a bang. We want to help you choose a style you will never forget. 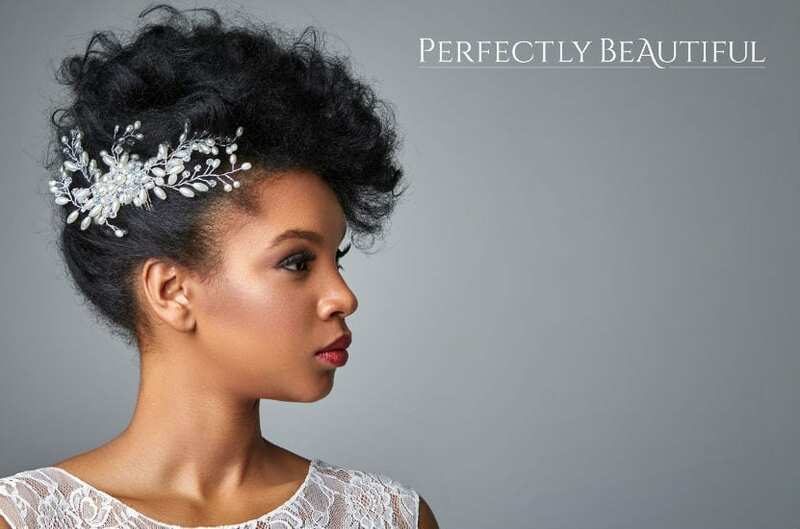 To get started we have put together some helpful tips to help you on your way to the bridal hair you have always dreamed of. You have spent hours trying on dress after dress and have finally found the one. Now you must look for the perfect wedding hair and makeup in Brisbane to complement your look. Having the perfect wedding hair and makeup style for the dress will ensure you look your absolute best on your wedding day. This dress will look great with any hairstyle that suits you or what you prefer. Down styles look stunning with this type of dress. Sleek hair pulled back off the face or loosely braided. A structured high bun with a braid around it or half-up, half-down with a braid. Having your hair in an up-do is best for this type of dress to show off your neck line, collarbone and shoulders. Any style that is off the shoulder will complement this style of dress. Positioning your hair up in a side or low bun keeps this look sophisticated. Or having a sleek pony tail pulled to the back. This is a very elegant look so something soft around the face is beautiful for this style. The hair swept to the side with soft curls or down and left down with curls and a loose braid. Even a subtle up-do with braids and floral accessories. Or half-up, half-down with a flower crown. If you have a very detailed beautiful back on the dress you will want to show it off. Your hair is best put completely up and out if the way. Any hairstyle that is away from back to show it off will look stunning with this dress. Pull your hair to side if you want it down otherwise a chic high or low bun would be perfect. Or under-braid, even victorian ponytail or fishtail up-do that is high enough to show off that back. If you have an oval face shape you can have any hairstyle either up or down. Hair that is pulled off your face in an up-do to show off your face is great. Any down-style either curled, wavy or straight and is pulled off the face to show off your cheek bones. You will want to soften your jaw line so a look that is soft around the face is great. An up-style like a low bun can be done as long as the style is soft around the face to hide harsh corners and jawline. Having your hair down either curled, waved or straight with a part down the centre will open up the face. For the beautiful ladies who have a heart shaped face you can either have your wedding hair up or down. When your hair is styled in an up-do, having a centre part with a braid will complement it. If your hair is down a textured look that covers the sides of your chin is always a winner. It is best to have your hair styled off the face even if you choose to have it down. For an up style a classic topknot is stunning but make sure it is not too high on the head. If you choose a down style, curled and pinned to the side of the face or having your hair tucked behind the ears is best. Your key is to make your face look longer to give the appearance of higher cheekbones. With an up-style a side part with pony tail gives the illusion of higher cheekbones. If your hair is down a deep side part with big waves are always beautiful. The perfect hairstyle for you on your wedding day is always a personal choice as to what you are used to and the look you are going for. Perfectly Beautiful are always happy to help and give recommendations to make the day easier. At the end of the day we want you to feel your absolute best with your wedding hair and makeup. If you need any help with any style we specialise in hair and makeup in Brisbane and are only a phone call away!